From time to time we’ll be hosting kindred club spaces (and their affiliated artists) to showcase their peculiar sounds. We couldn’t begin with any other place then the renowned Institut für Zukunft (IfZ). 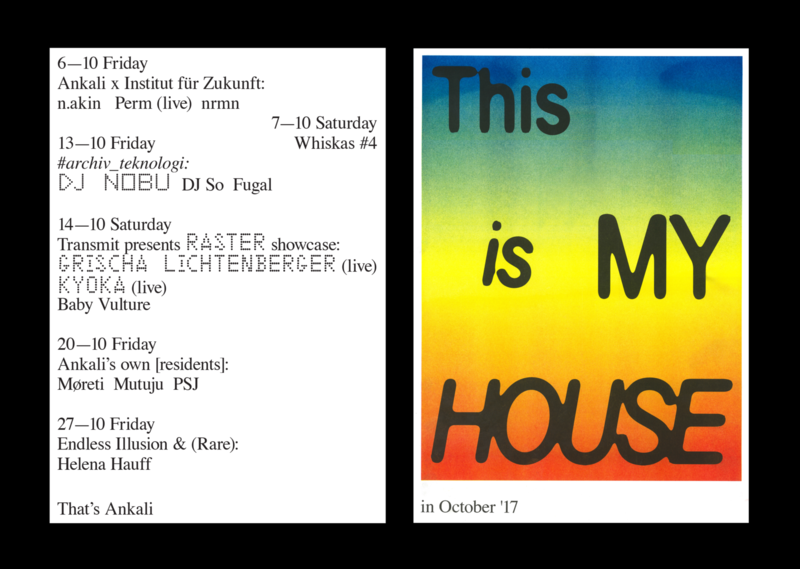 Representing the sound of IfZ at Ankali will be two artists of its core crew. Following his Prague debut a year ago will be Perm, presenting the warm, stripped back waves of sound he’s known for in a live set. Besides touring Germany extensively, Perm has recently released on the Dresden-based label Shtum or via the Nachtdigital Festival vinyl edition. Taking over the booth for an extended closing set will be n.akin, resident of the ‘Aequalis’ party at IfZ that in the past hosted (among others) Luigi Tozzi and our recent guests The Gods Planet. No surprise that n.akin’s main focus too lies in time-stretching hallucinatory sounds. Wrapping up the lineup is the local multifaceted hero nrmn with an always on-point and flawless selection of future classics.